Pure Barre is the fastest, most effective way to change your body. 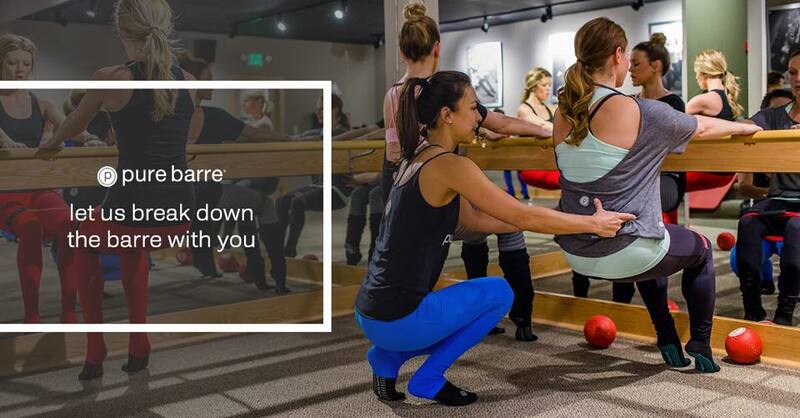 Utilizing the ballet barre to perform small isometric movements set to fantastic music, Pure Barre is a total body workout that lifts your seat, tones your thighs, abs, and arms, and burns fat in record- breaking time. Experience a Pure Barre class now.